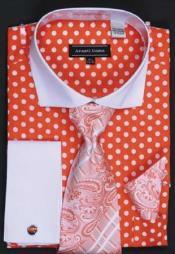 If you are a person who likes to follow a standard pattern in your outfits, then you can try and experiment with different patterns that will add versatility to your look. 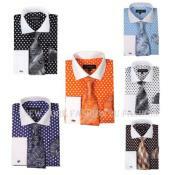 Men who choose to wear only formal styles for regular business wear often look for solid plain patterns in suits, blazers and dress shirts. 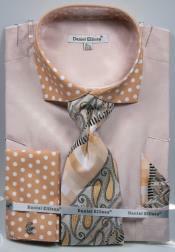 Solid plain patterns are simple outfits in different colors with only the texture of the fabric visible on the outfit. 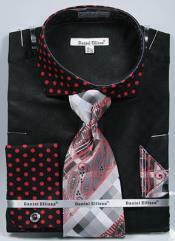 With slightly trend evolving in men's fashion industry, simpler patterns like pinstripe started to come in men's suits. 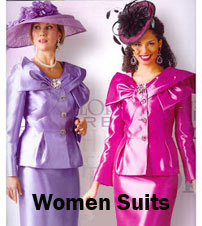 The only variation in the pinstripe was the thickness of the pinstriped patterns and the space between the pinstripes. 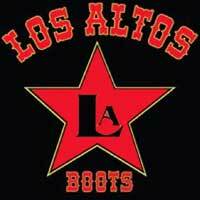 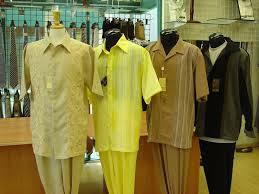 But these days you will find wide range of designs and patterns in men's clothing industry. 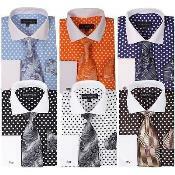 You will surprised to find patterns like floral print designs on men's stylish and casual blazers, dinner jackets, tuxedos and so on. 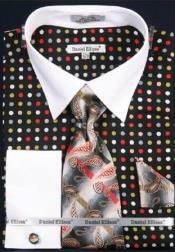 In addition to these, you will find paisley print patterns on men's outer jackets, prom tuxedos etc. 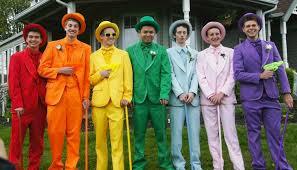 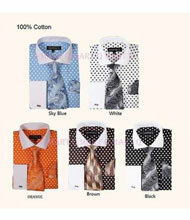 Sequin styled jackets and suits are another addition to the different range of patterns and styles in men's clothing. 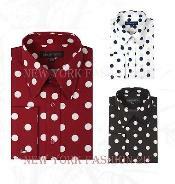 If you are a fan of patterns that mark a bold and strong statement to the overall look of the outfit, then polka dot pattern is the newest in trend. 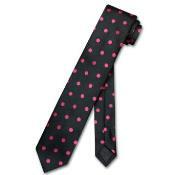 Polka dot prints are round shaped dots printed all over the fabric. 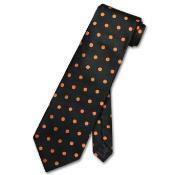 These are often associated with slightly bigger sized dots, but there are many variations in the size of the dots too. 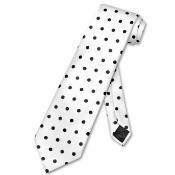 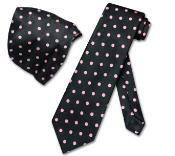 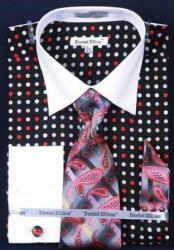 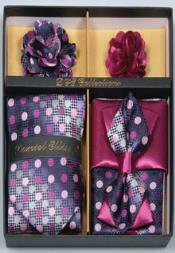 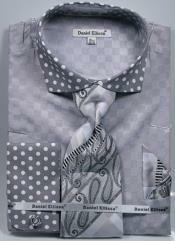 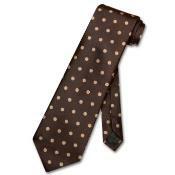 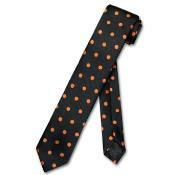 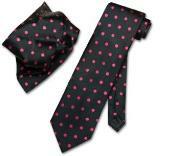 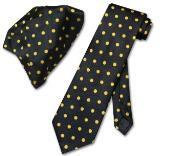 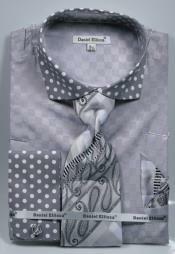 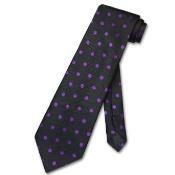 Polka dot pattern is not only popular in men's dress shirts but also in neck ties, blazers, jackets, suits and so on. 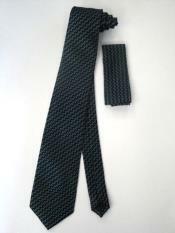 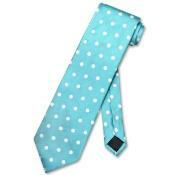 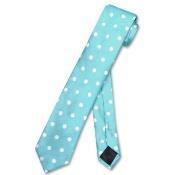 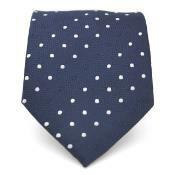 Add a touch of informal and casual style to your plain solid patterned suit with a classic men's polka dot tie. 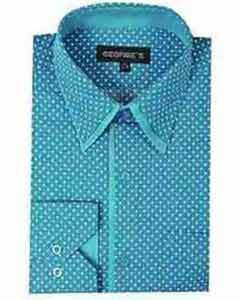 If you want to highlight the look of the suit and make the polka dot pattern more evident, then you can consider wearing a stylish men's polka dot dress shirt. 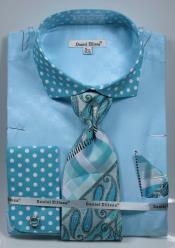 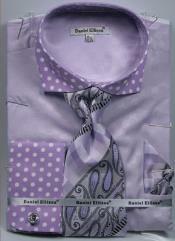 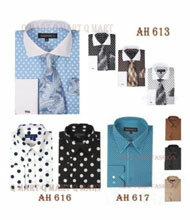 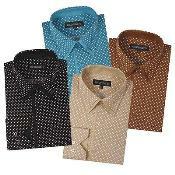 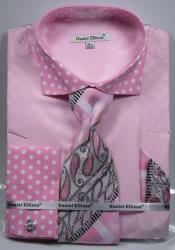 These polka dot dress shirts for men come in different color options. 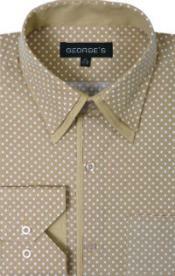 If not pairing with a suit, you can simply wear the polka dot shirt for men as a casual look with matching dress pants. 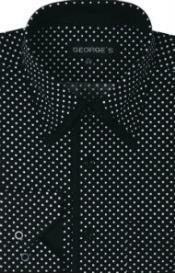 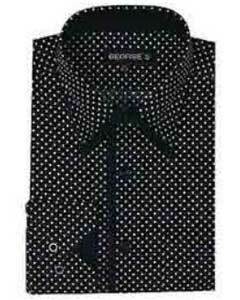 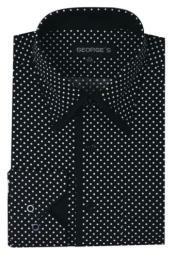 The most common and old color combination for polka dot pattern is the black and white polka dot in shirts. Apart from neck ties and dress shirt you will also find stylish polka dot blazers for men. 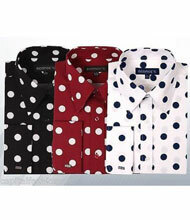 If blazer appears to be too gaudy, then you can pick a classic casual men's polka dot jacket that matches well with other contrasting colored shirts, t-shirts and pants. 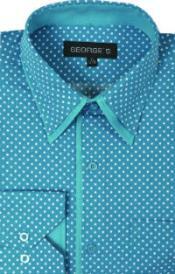 If you are too particular about holding this pattern for only casual look, then pick a polka dot t-shirt and flaunt it with a stylish jeans. 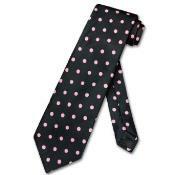 The polka dot pattern is so popular that men's accessories also come in polka dot pattern like the men's polka dot socks. 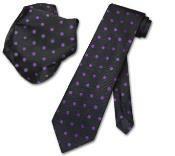 All in all polka dot suits are also available for men who are complete fans of these polka dot styles. 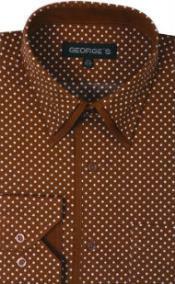 You can now shop for amazing collection in the polka dot print and designs at Mensusa.com. 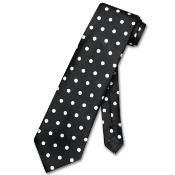 We stock classic styles in polka dot neck ties, polka dot dress shirts, t-shirts, blazers, dinner jackets, suits, socks and all other matching accessories online.